Hello! It has been awhile since I posted, but I have been getting used to my new school. So far, it has been a fairly easy transition, but has required some tweaks as I navigate a new student body. One particular area of my teaching that I feel I have given a significant amount of attention this year is guided math. This has been a transition in my teaching over the last three or so years. 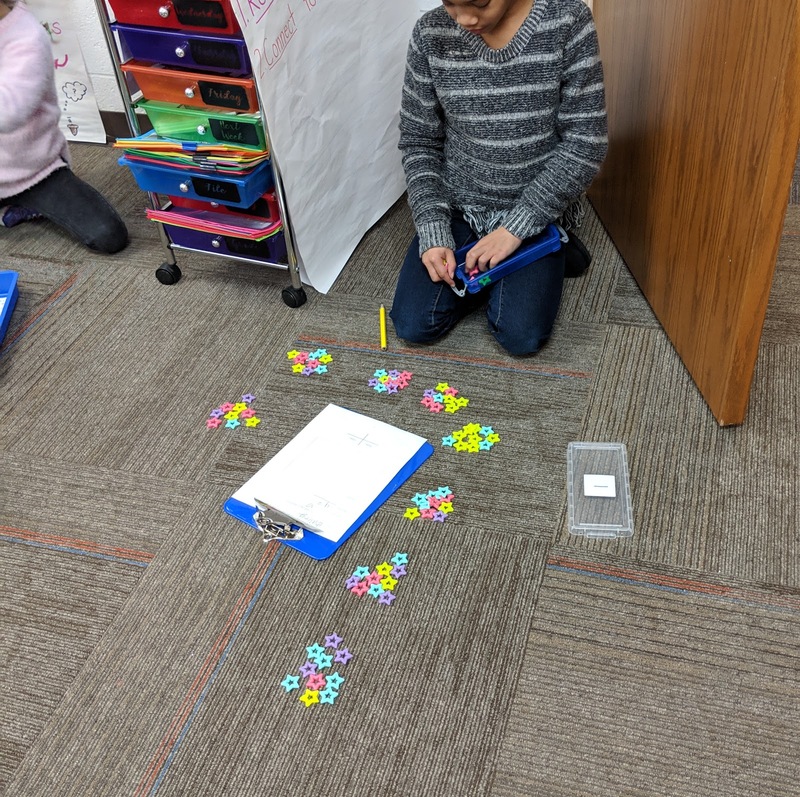 While it can be challenging to introduce at the beginning of the year, particularly in the younger grades, I believe that guided math and small group instruction are worth the extra effort. 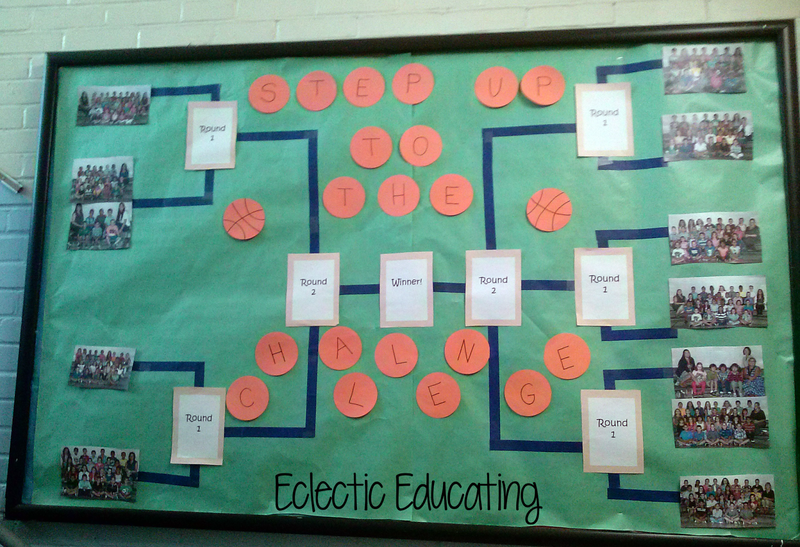 At my current school, some adjustments had to be made based upon the curriculum requirements. For example, I am required to use the math workbook at my current school. Initially, I wanted to make this a replacement for the math journals I used last year, which my co-teacher and I created personally or were a hodge podge of items found online. If any of you use Singapore Math, you probably understand that it can be a challenging program. I found that my students were struggling to complete the workbook independently due to challenging directions and the high amount of reading required to be successful with this program. As a result, I decided to make workbooks part of the Math with the Teacher center. Additionally, my class did not have a set of ipads to ourselves, so we cannot use them everyday. 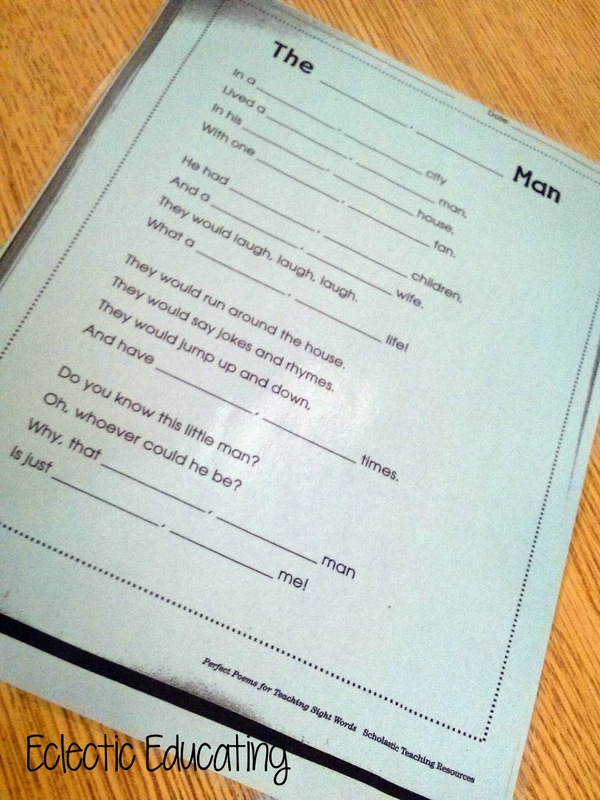 Therefore my centers this year vary more, but include workbooks with the teacher and 2 separate math activities. Where do I find my math activities? 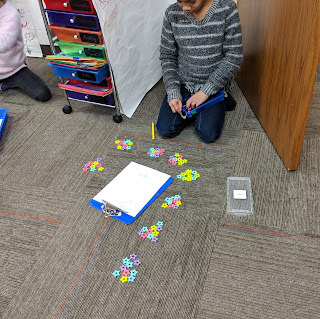 This year I have been using a lot of counting collections. In this activitiy, students sort objects into groups of tens, and eventually groups of 100 to identify the number of objects in a collection. I also have students record themselves explaining their thinking using the ipad on the Seesaw app. A lot of my information about counting collections has come from Research and Play. 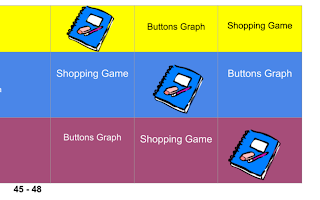 Another resource I use frequency is Reagan Tunstall's Guided Math series. When I was not required to use a workbook, I used this program to help me organize my math with the teacher. 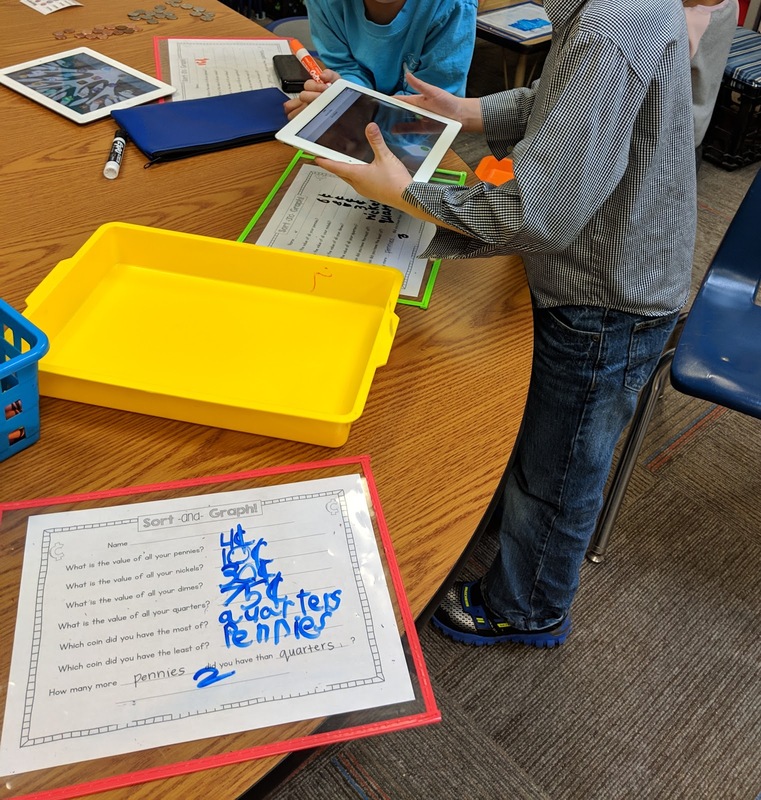 Now, I use the activities for independent work stations. 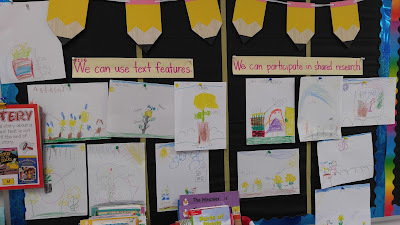 I also use a lot of materials from Susan Jones' product and Brown Bag Teacher's centers. Personally, I have found that three center rotations is more manageable for me. I know several teachers prefer to have more rotations and smaller groups. I find that I am fried by the fourth rotation and often times so are my first graders. As a result, I keep it at three rotations. Less rotations means bigger groups which allows students to work more with each other. 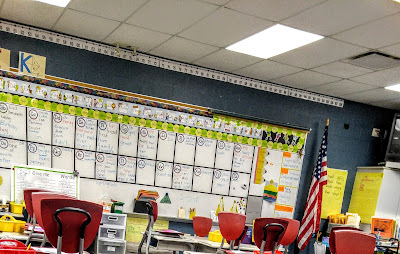 I also strongly value independence in my first graders and use a workboard so that students know where they should be at all times. Additionally, I even have a student who rings the bell to signal the transition for centers. Ideally, math workshop would be able to operate without me even there! Finally, here are some products that help facilitate math workshop. The items presented include affiliate links, but are tried and true recommendations of things I have used personally in my classroom. 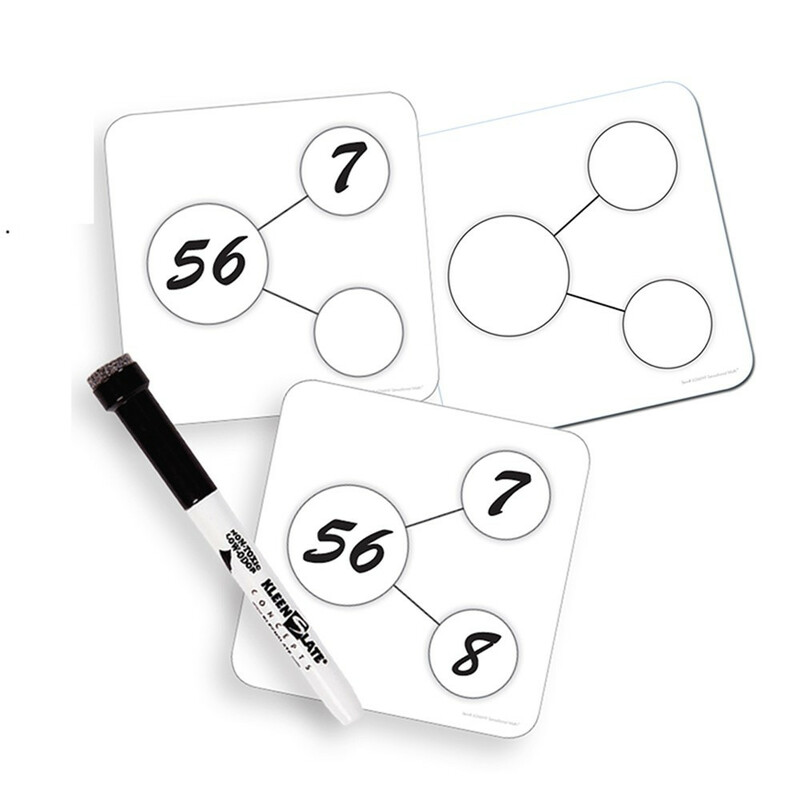 Rekenrek - great for building concrete understandings of addition and subtraction. Differentiated Dice - every math concept is made better with dice! This set has a variety of dice that are perfect for differentiating games. 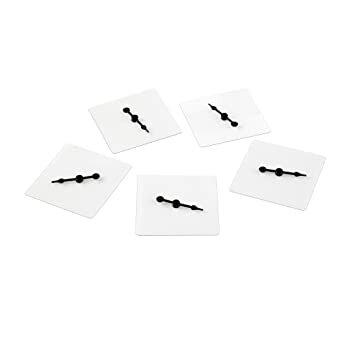 Clear spinners - Spinners are great for math games - particularly graphing concepts. 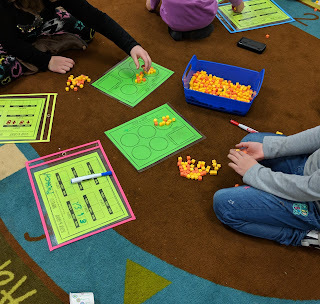 How are you using guided math in your classroom? 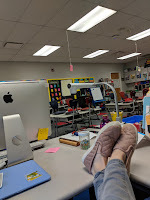 I really thought I was going to get around to blogging more this school year, but....that obviously didn't happen! It was a very busy school year for me. I finished my master's in educational leadership and I trained for, then ran, the Chicago Marathon. That really did not allow for a lot of free time. It was a really tough school year, too. 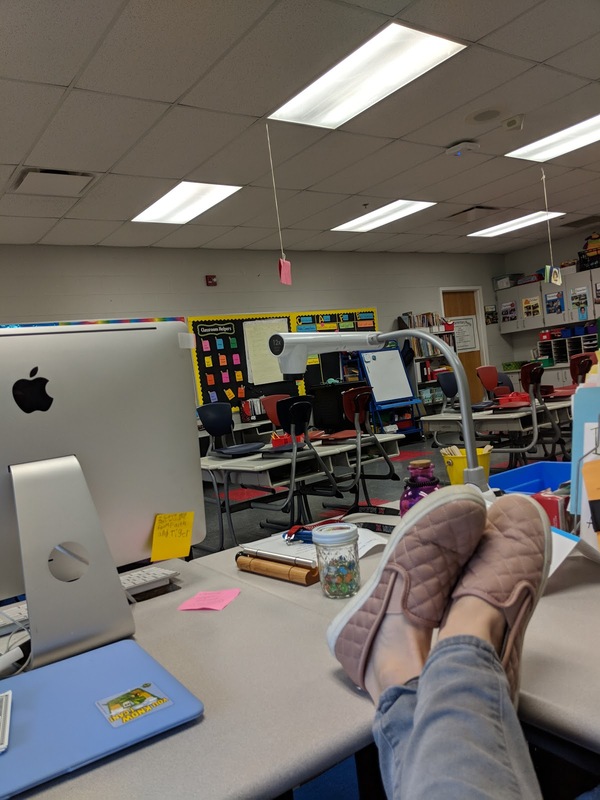 Teaching in an urban school district can be very challenging, but this school year felt rougher than the previous school years. While by the end of the school year, I loved my class, they were very young. By providing me with the low readers, I also received the youngest students in the grade and many of the more challenging behaviors. This made the beginning of the school year very difficult. I had to get creative in my methods, and found myself focusing a lot more on social emotional learning, at times more than the actual curriculum. 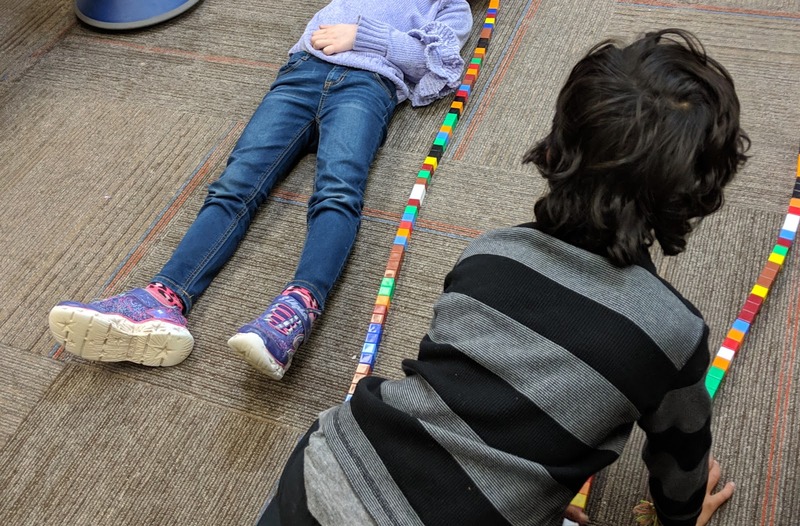 These students needed a lot of instruction in self-regulation and self-control. I learned a wide range of strategies for this, which I hope to share throughout the summer. In other news, though, I have chosen to move to another school. Despite my love for the children and my class, often times other factors can make our work challenging. I am sure that even without saying it, many of you know what I am implying. Next year, I will be working at an independent school. I am very excited about this adventure and am looking forward to many of the exciting and different experiences I will have. This school appears to have a close knit community with a very positive environment. That is exactly what I am looking for! 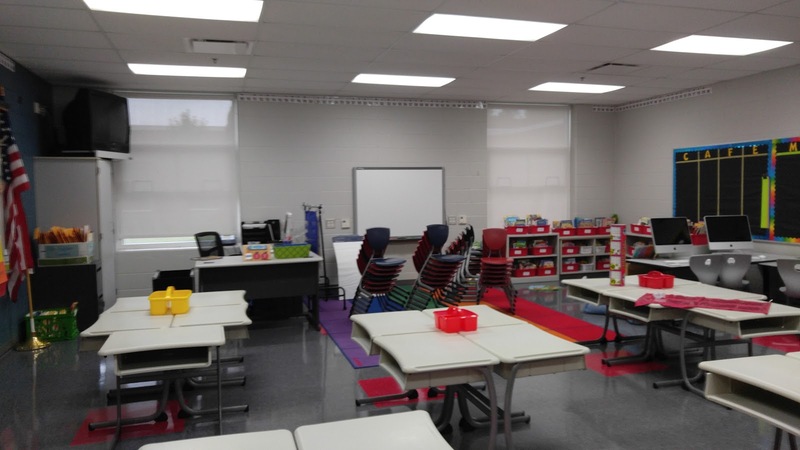 I know I have sort of fallen off the blogging bandwagon, but hopefully I will be able to share all the exciting things happening at my new school. Please stick around! Hi! I am still alive! I know it has been a LONG time since I posted. To say it was a challenging and overwhelming year would be the understatement of the year. 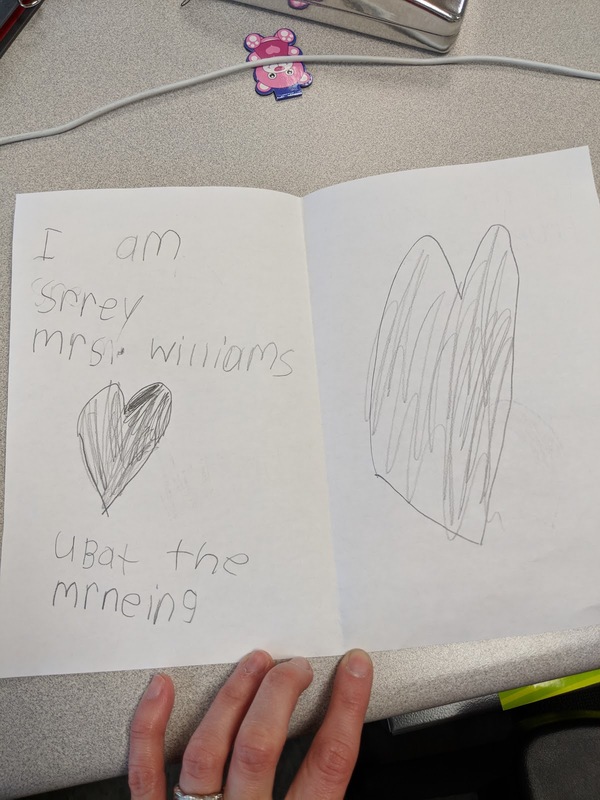 I would also say that it was most meaningful year of teaching, to date. I was both nervous and excited to be entering the classroom after 6 years of teaching intervention. It had always been my goal to be a classroom teacher. Becoming an intervention teacher was really unintentional. I do not regret those 6 years at all. 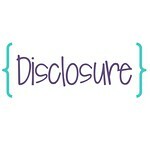 They helped me be successful in the classroom by providing an instructional foundation. As someone moving from out of state, I will say that I was slightly unprepared for the dynamics of the community I was entering. I had worked in Title 1 schools my entire career. As an intervention teacher, I usually worked with those students with the most disadvantaged economic conditions. However, I did not have experience with the level of poverty that I faced this year. The school had 100% of students on free breakfast and lunch. I don't think I truly realized just how different this is than a community with 60% of students on free and reduced lunch. The difference is very stark, in case you are wondering. My students faced a number of obstacles, including a lack of resources and unstable home lives. In my mind, I expected a certain dynamic in classroom management from a povery stricken community, but surprisingly that is not exactly what I experienced. My students wanted to learn and they were mostly willing to work hard. In fact, half the class made it to the middle of second grade reading benchmarks. They did amazing work, and I am extremely proud of them. What surprised me, was their emotional underdevelopment. I did not expect to be explicitly teaching self control, kindness, and mindfulness in the classroom. 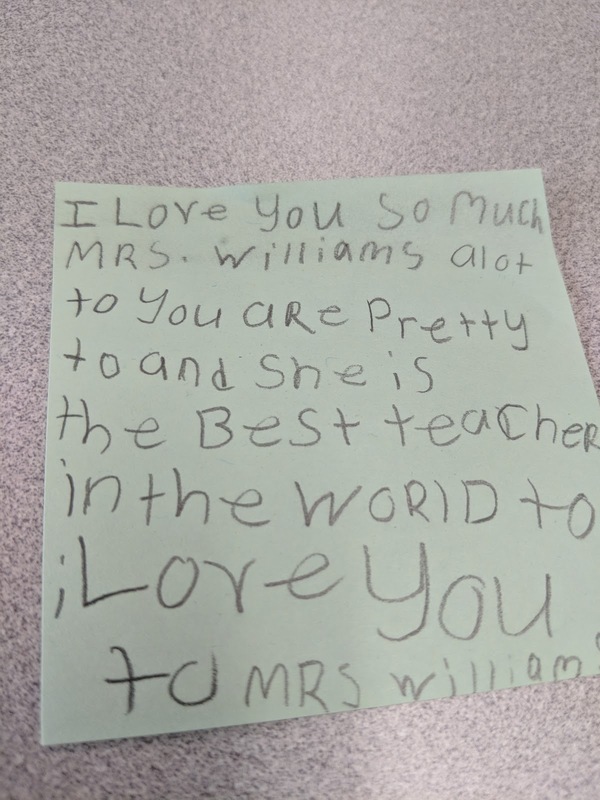 I was fortunate to have had 6 years to hone my teaching skills as an intervention teacher, because I was able to give the necessary amount of attention to teaching valuable non-cognitive skills. I never expected to teach my students yoga or meditation, but that is exactly what I did. GoNoodle was such a valuable tool for this. I'm finally starting to feel alive again, dare I say well-rested. I am optimistic that I will share more experiences this year, but I make no promises. 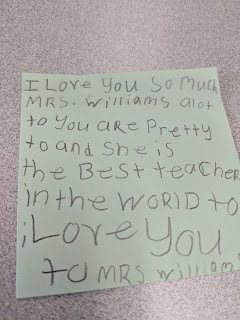 It was a successful year for me and my students, but it was also all I could do to keep my head above water some days. I am hoping for a little more balance this year! Enjoy your summer, teachers. You earned it. Despite what many might think...guided reading is not the answer to everything in reading intervention! I have a particularly challenging group of first graders this year. They are really struggling. I have been re-evaluating my instruction and making some creative choices! We have been doing a weekly poem. This provides a lot of repetition and fluency practice. 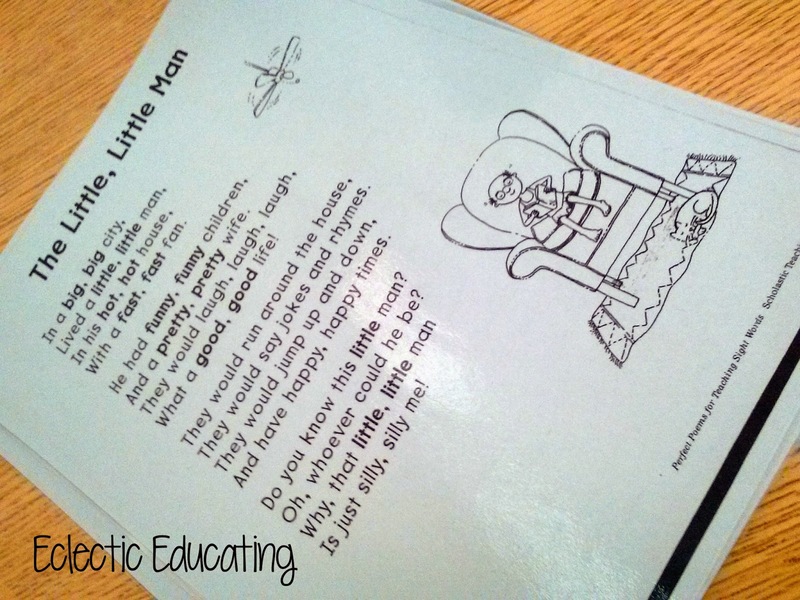 I have been choosing poems that work on specific sight words to help increase automaticity. The kids really enjoy the rhyming and melodic qualities of the poems. A poem is also significantly less overwhelming than a book and gives struggling students access to grade level content. 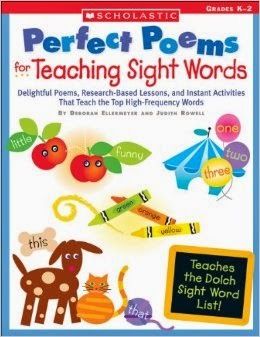 This is a great resource for finding sight word poems. 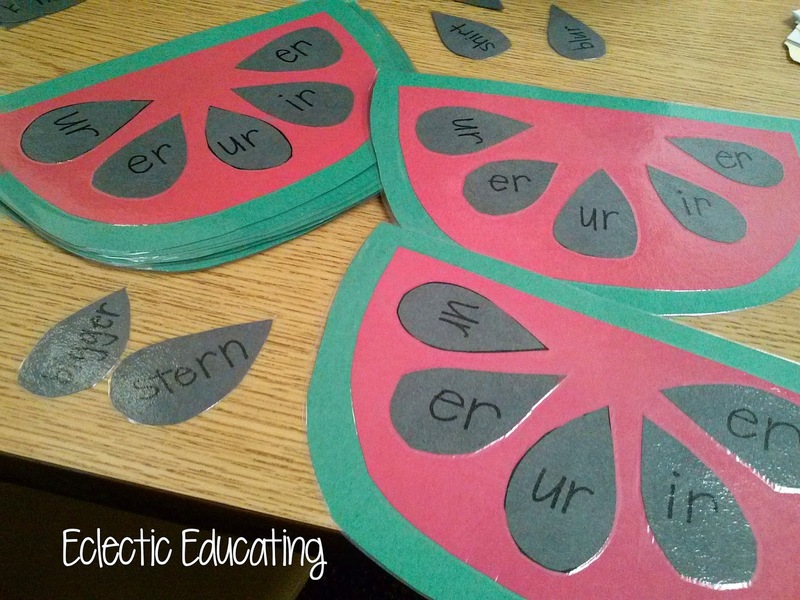 They are organized around different sight words and skills, such as breaking words into chunks. After reading the poem for a couple of days, I remove some of the sight words and have students practice adding them back to the poem. We also take turns reading with the pointer. I am a firm believer that writing needs to be incorporated into reading instruction. Sometimes we compose an interactive writing based around the content of that week's poem. 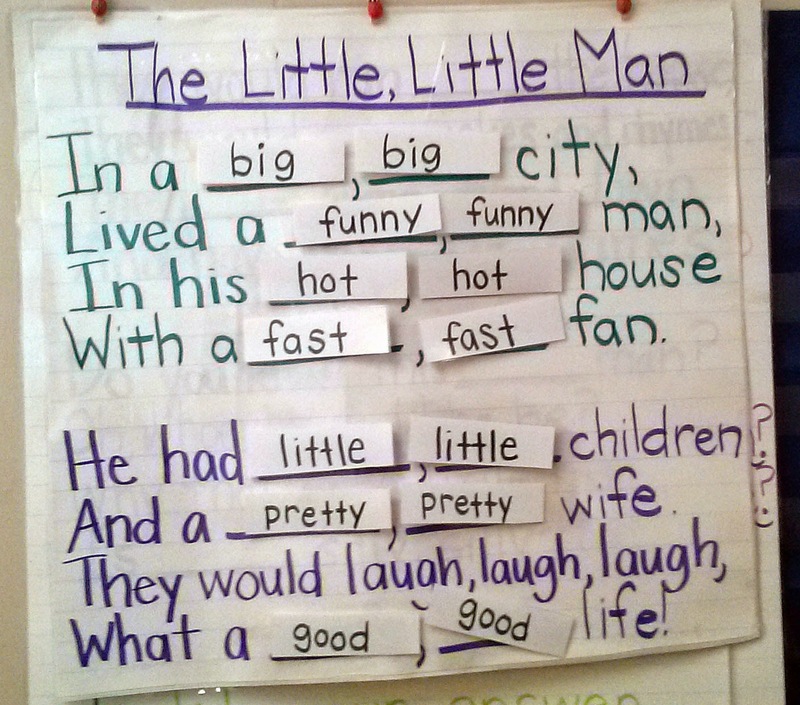 Other times, we compose our own poem based upon a template of the week's poem. We have also written cut up sentences and switched with partners. 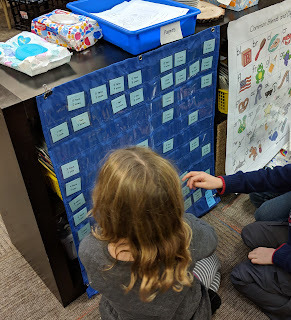 I love playing file folder phonics games. My district is heavy into Fundations, but sometimes a scripted program just doesn't get the job done for everyone. Nothing beats a good old fashioned game. Right now we are working on r-controlled vowels. I am starting to see progress! We have been so busy having fun in the gym, that I keep forgetting to take pictures! We have been playing sight word basketball and sight word relay races. They are so simple, but the kids love them. 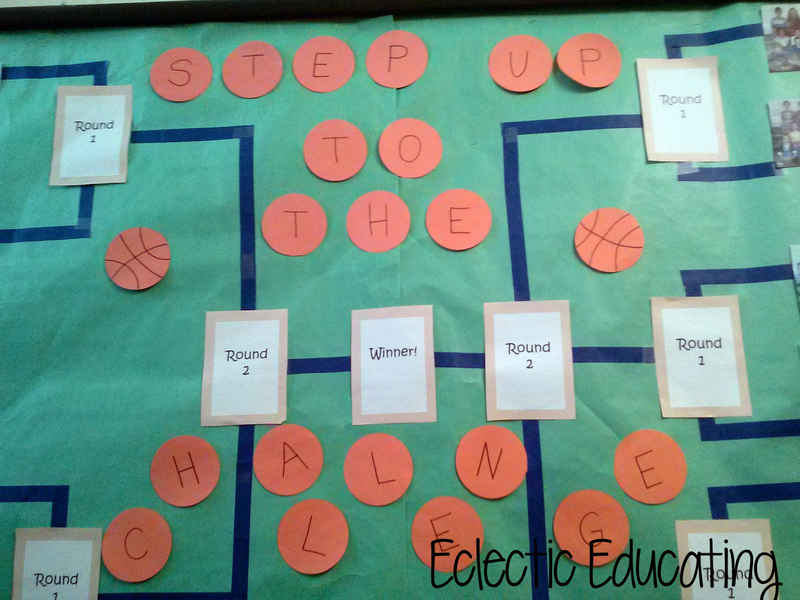 Students must identify a sight word before they shoot the basketball or before they start their leg of the relay. A competitve edge is highly motivating. I carefully select the teams so they are equally matched and each race is very close.. That way no one is too upset or discouraged. How do you get creative with your struggling students? Maintaining a program for the entire school requires a lot of manpower. Take all of the help you can get. For something that involves the entire school, you need the entire staff to make it successful. Some might be hesitant at first, but it is important to always emphasize that this is a community effort. Kids do NOT need expensive things to get excited. This is about the experience. Really, students should not need to be rewarded for reading, but there is no denying that rewards can be motivating. We have chosen to do a monthly raffle. 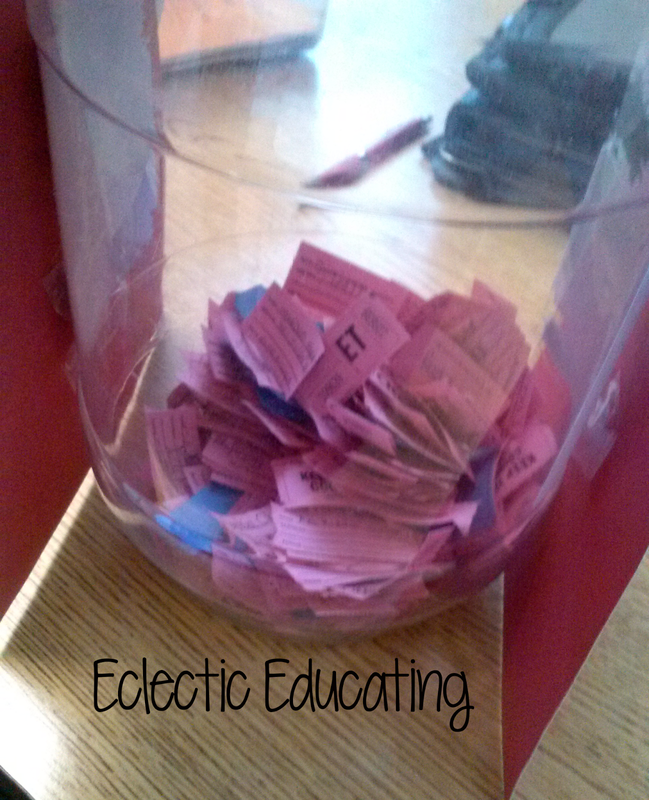 When students read a certain amount, they get a raffle ticket. This goes into our "gumball" machine. Once a month, I draw 15 winners for some sort of "experience-oriented" prize. Some of our prizes have included: reading outside, free play in the gym, extra computer time, and lunch with the principal. Kids have LOVED this aspect of the program. Steps are equivalent to a certain amount of hours in our district. 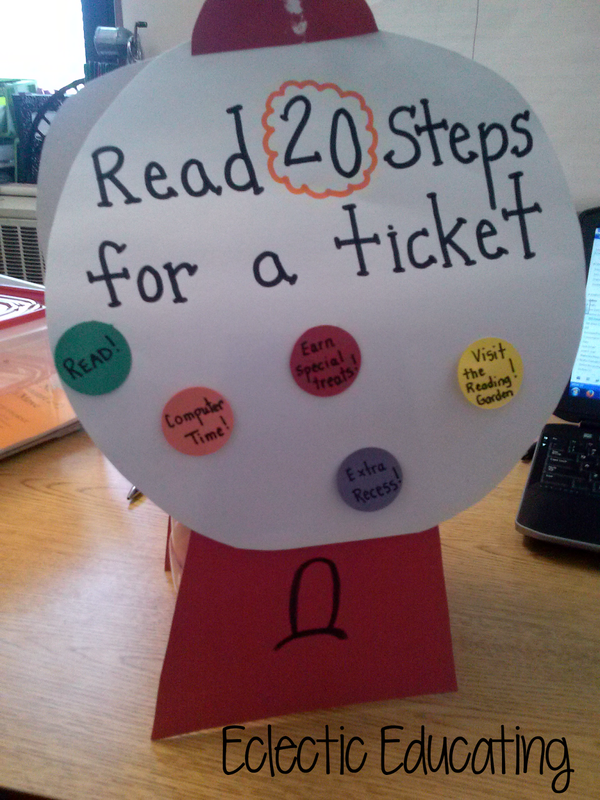 This is one of the ways to really get school-wide support. Initially, a few teachers were hesitant to give out the tickets. It was just one more thing to do. When their students did not win any prizes, though, they quickly changed their minds. Students talk to each other, and momentum grows quicker than you can imagine! Excitement is key! It really is the small things that matter! The key here is a little. Do NOT get carried away! This sort of thing isn't meant to have winners and losers. 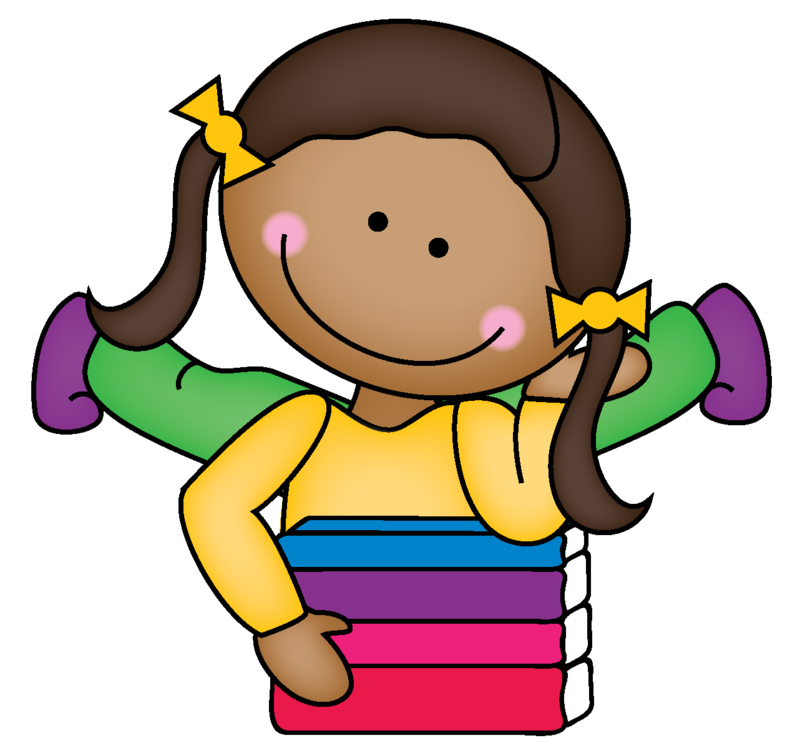 By being part of a team though, classmates can motivate those students who might be more reluctant readers. For March, we are having a reading tournament. The class that reads the most this month will advance to the next round. The winning class gets a pizza party! 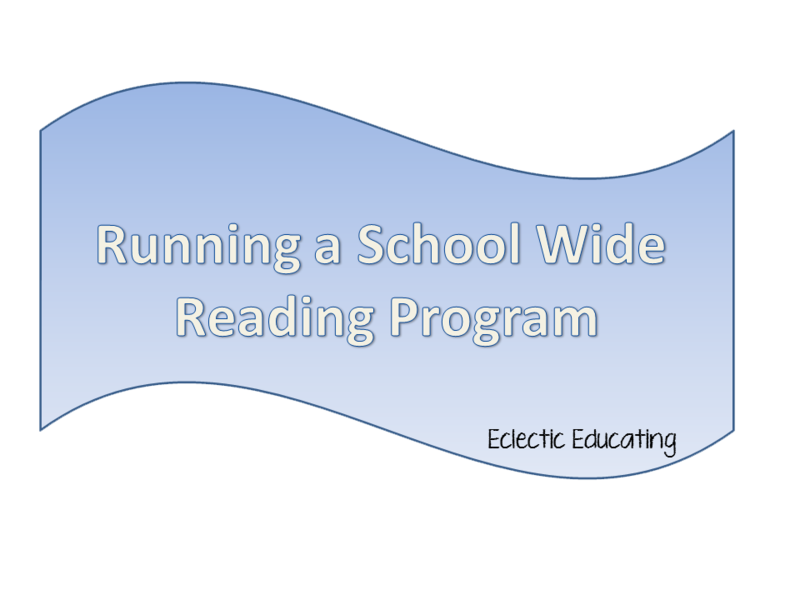 Unfortunately, as a first time leader of the reading program, I inherited a purchased program. There are some aspects of the program that I like, but next year I will change more. This first year, I felt I had to follow the program for the most part. One thing I like about the program is that it recognizes student achievement at an assembly. 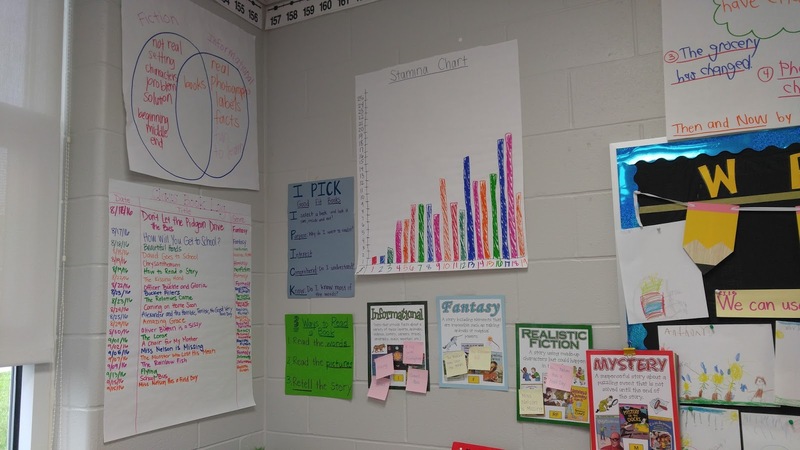 Students get to stand in front of their peers and be recognized for how much they have read. Students really enjoy this. We set a schoolwide goal for a certain percentage of students to read a certain amount. Halfway through the year, we had a movie and hot chocolate party to celebrate those students that were halfway towards meeting the goal. At the end of the year, we will have some sort of outdoor party. Like I said, I am no expert, but I have certainly learned a lot this year. This is a big responsibility to take on, but it makes a huge difference to the kids. The key is working together as a school and inspiring kids to read! 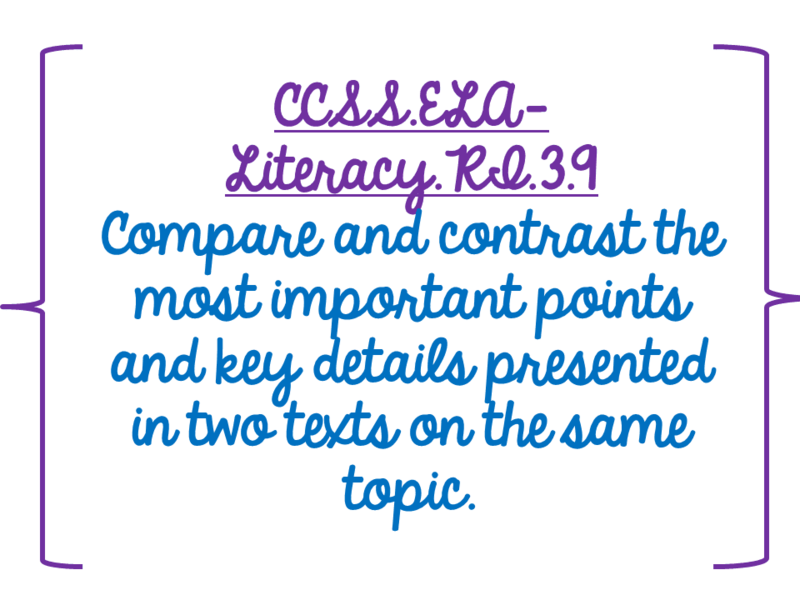 These week I am working on a very important standards with my students: Comparing and contrasting two informational texts about the same topic. In the past, I have had students read two informational texts and compare these texts in their reader's notebooks. With the PARCC test looming around the corner, I thought it was time to venture into the 21st century! I was lucky enough to attend a workshop earlier this month about using the Microsoft suite to update instruction in this digital age. After the workshop, I was itching to give these new tools a try. This is my first attempt! For this lesson, I used OneNote. Unfortunately, my district only purchased accounts for the teachers and middle schoolers. Elementary students will receive accounts next year. For this reason, I had to make a few adjustments to my plan. I created an "online binder" for this lesson. 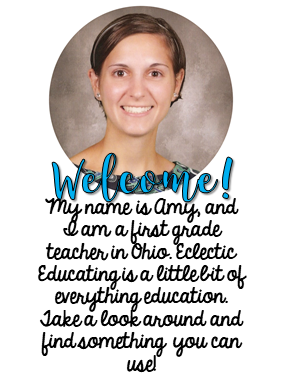 Normally I would assign elements from this binder to my students, but since they do not have accounts, I created a page for each students in my "binder." To begin, students watched a video about how a robot called the VGo is being used in schools. The students had very little background knowledge about this topic, and the video really sparked their interest. Then, students read two articles using the OneNote app on the iPad. 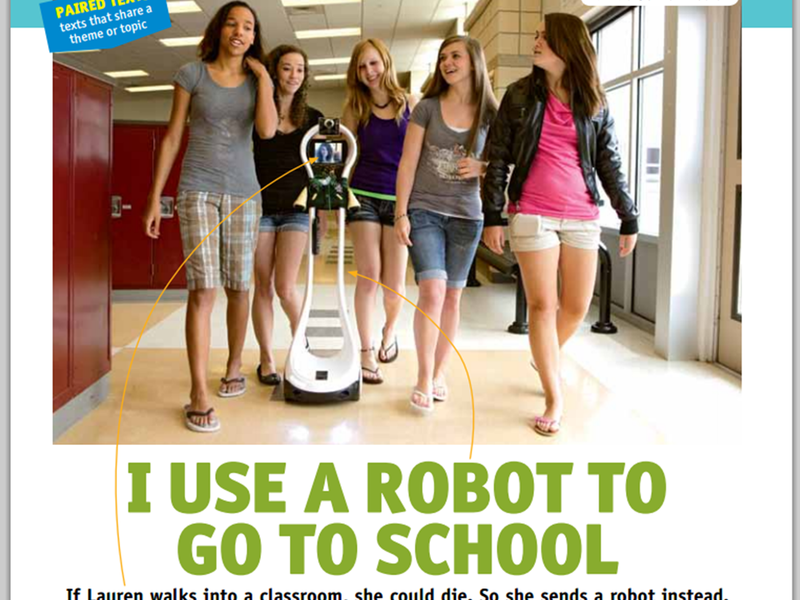 Both of these articles were about how schools are using the VGo robot. Each article had one question that required students to type a response, while also highlighting evidence from the text. We continued to use our RACE technique! Then, students created a Venn Diagram on the iPads comparing and contrasting the two texts. As the final activity, students answered a short answer question requiring students to analyze the way information was presented in each text, including the text structure. This answer was also constructed using the RACE strategy on the iPads. Overall, the students were highly engaged in this lesson. They loved using the iPad for every step of this lesson. They're typing skills definitely need some refining. 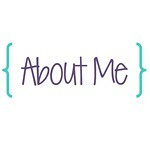 I am going to continue using OneNote for many lessons in the future! How do you prepare students for reading and analyzing texts on the computer?